A new project to empower young Karenni people has begun courtesy of our SDC Alumni. Over the past few months, SDC alumni have been working hard to prepare and design a program to create the change they desire in their community. 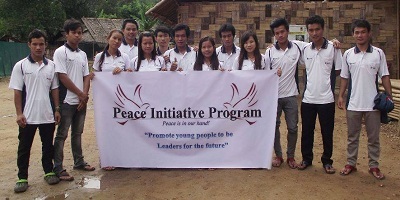 As a result of this dedication, last month, they successfully began running the Peace Initiative Program (PIP). In order to set up this organisation, our alumni ran a series of meetings. The first meeting was for all alumni who were interested in being involved in a new organisation to provide help for their community. This meeting allowed for an overview of the need for the organisation and an opportunity to talk about aims. After this, later meetings focused on designing an outline for the organisation, its committee and planning some upcoming projects. All of the members participated in the meetings. The committee are 16 alumni of SDC who all have their own roles working for the betterment of their community. The responsibilities that they are taking on as part of the PIP are all completely voluntary. PIP has already successfully completed two workshops in the camp. The workshops they have completed focused on drug and alcohol awareness for young people in Karenni Refugee Camp 1. At each of the trainings, there were over 30 young people attending. After the workshops, they received plenty of positive feedback from the participants. Some of the feedback included that the participants would stop using alcohol because of what they had learned. Others said they would raise awareness within their family on the dangers of alcoholism. PIP is excited to bring about a positive future for our youth. They have plans to develop activities and strategies to increase young people’s participation in Karenni Refugee Camp 1. Their future aims are to run projects further afield in Karenni State. Within their organisation, members are enthusiastic to develop an engaged political youth for the future. We hope they will be able to unite our alumni as a common force for positive steps to a free and democratic Karenni State for the youth and future generations.